Make some fun memories with Mickey, Minnie and all your Disney friends when Disney On Ice presents Follow Your Heart, at the Spokane Arena for seven performances beginning Thursday, October 26 through Sunday, October 29. You'll see your favorite Disney characters, Dory, Cinderella, Rapunzel, Ariel, Buzz, Woody and the Toy Story gang and more. For performance times and tickets, visit www.spokanearena.com. Tickets also available at www.ticketswest.com or 800-325-SEAT. 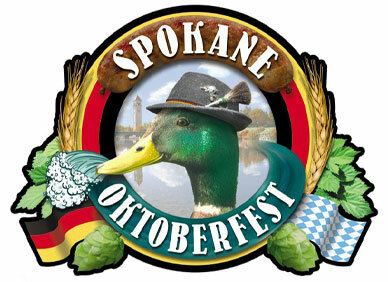 Spokane Oktoberfest in partnership with the German American Society of Spokane is this Friday through Sunday, October 27-29. The Spokane Valley's CenterPlace Regional Event Center will be site of 3rd annual Spokane Oktoberfest with a community celebration of all things Bavarian. Lots of great music on two stages, fun games, and brats and beer, and more. Hours are Friday 4pm-midnight, Saturday noon-midnight, and Sunday 11am-5pm. Sunday is also Spokesman Review half price family day. Adult admission is $10 or $15 for all weekend. Children 12 or younger are free throughout the event. Each night at 8pm the event turns into adult only as the music and entertainment kick it up a notch. Tickets and more information available at www.SpokaneOktoberfest.com. On November 4 and 5, Grammy Award-winning, internationally renowned baritone and Spokane native, Thomas Hampson, returns home to help celebrate the 10th anniversary of the restoration of The Fox Theater. Hampson will sing a program of favorite arias and overtures, along with selections from the American Songbook. Music Director Eckart Preu conducts the Spokane Symphony, Spokane Symphony Chorale, and EWU Symphonic Choir at these very special concerts with Hampson. 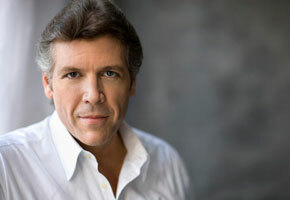 Don't miss a rare chance to observe Thomas Hampson teaching a master class for four local vocal students (who auditioned for the opportunity) on Friday, November 3 from 3-5pm at Martin Woldson Theater at The Fox. Tickets are available at spokanesymphony.org/master-classes or or at the door. People who attend this master class will get a preview of Hampson's voice as he demonstrates technique and gives performance tips to the students. A master class is a great way to get to know a performer before his or her concerts. Tickets for the 2018 NCAA Division I Women's Basketball Championship-Spokane Regional, taking place March 24 and 26, 2018 are on sale starting today. This Championship will feature three exciting games over two days of heated competition. Guests at the Spokane Regional will be part of the Sweet Sixteen and the Elite Eight, and will watch one team earn the right to play in the Final Four in Columbus, OH. All guests who purchase tickets to the 2018 NCAA Division I Women's Basketball Championship-Spokane Regional, will be placed on a priority waiting list giving them the first opportunity to purchase tickets for the 2020 NCAA Men's Basketball Championship hosted at the Spokane Arena. Tickets are available at the Spokane Arena Box Office, all TicketsWest Outlets, at www.ticketswest.com or 800-325-SEAT. 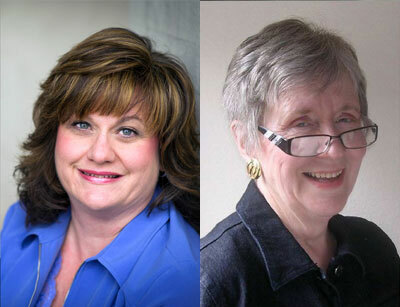 On Friday, October 27, 7pm, at Auntie's Bookstore, 402 W. Main Avenue, Cindy Hval will offer a preview of her next book Tiaras & Testosterone and Kay Dixon will launch her new book Tales of Family Travel: Bathrooms of the World. Cindy Hval will be giving a sneak peek of Tiaras & Testosterone, a compilation of her essays for various anthologies and her 'Front Porch' columnist writings for The Spokesman-Review. She also has a podcast called 'Life, Love and Raising Sons (Not Necessarily in That Order)'. Hval's first book, War Bonds, was published in 2015. She will be signing books as well. Tales of Family Travel: Bathrooms of the World chronicles her family's travels through Rome, Kenya, Cyprus, and other exciting destinations. Honored with the Peace Corps Writers 2017 Best Travel Book Award, Kay Dixon narrates her experiences of Nepali culture and the challenges and rewards of traveling with children. From toddlers stuck in bathroom stalls to the dangers of peeing in crocodile-infested rivers, readers will find themselves holding their breath or laughing uproariously at the adventures that await them in Dixon's book. The Spokane String Quartet welcomes pianist Martin Labazevitch for a program of works by Polish composers on Sunday, October 29 at 3pm, at the Martin Woldson Theater at The Fox. Labazevitch has appeared on numerous concert stages and festivals in Europe, Israel, Japan, South Korea and the United States. He was born in Poland and studied in Ukraine before immigrating to the United States, where he graduated with highest honors from the Manhattan School of Music. The concert includes two piano works from the 19th century and a 20th century string quartet. All seats are general admission. Tickets available at the Box Office, by phone at 509-624-1200 and at www.ticketswest.com or 800-325-SEAT. A new gallery, TSUGA NW Arts, is opening in the South Perry District at 1114 South Perry. They will be hosting a Halloween Art Party this Saturday, October 28 from 11am-4:30pm with 20 artists on display with works ranging from paintings and sketches, to ceramics and pottery to custom clothing and jewelry. Plus treats and activities throughout the day. This is a family friendly event and costumes are encouraged. For more information, visit www.tsugaarts.com.